Bertil Hörberg is probably the only Swedish name I know. I can't pronounce it to save my life, but it's a name that's been at the forefront of my mind when it comes to the games industry. Hörberg, if you are unaware, is the creator of the Gunman Clive series. I was introduced to the first game because of a review right here on Destructoid, as well as its phenomenally low price point. Though it was short, simple, and sweet, it left a lasting impact. For the life of me, I can't tell you why that is. There's nothing jaw-droppingly amazing about the game. It's a simple platform shooter. And yet, with its unassuming nature, its back-to-basics concepts, and its incredible art direction, Gunman Clive is one of the few games I return to quite often when I'm out and about with my 3DS. Why this game over the others? I don't know, but I thought I could maybe find out why by talking to the man behind it. I met Hörberg last week at GDC. At the Metreon near the Moscone Center in downtown San Francisco, he joined me for a barbecue lunch to discuss his upcoming title. 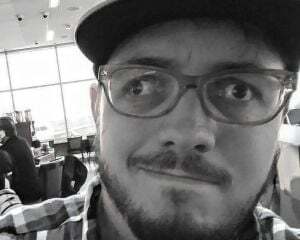 It was his first trip to GDC as well as his first time in the United States. He wasn't at the show as a speaker but rather to rub shoulders with those in the industry who don't usually get to his part of the world. It was also his chance to get the word out about Mechstermination Force, his upcoming co-op shooter that's part Contra and part Shadow of the Colossus. The game was officially announced not too long ago and just recently passed its lot check. Soon, Hörberg will set its release date, something that is leaving him with mixed feelings. "I'm excited and terrified of the launch," he explained to me. "We'll see what happens basically and I have to admit, it's not the perfect timing with Cuphead being announced. They're not the same game, but they are similar and being released so close together is not ideal." Cuphead will hit Switch a bit after Mechstermination Force launches, but that doesn't mean it won't be without competition. History has shown us Nintendo loves to flood the eShop every week with new titles and it can be quite the herculean effort to try and cover them all. Of even some of them. Hell, even getting coverage of three eShop games is quite a task. There is so much competition, so many games that you immediately forget about all hitting at the exact same time. Yet Mechstermination Force has something many of those other games won't: developer pedigree. Gunman Clive is one of the biggest success stories to come out of the 3DS eShop. The original title, ported over from mobile devices, sold more than 400,000 copies. Part of this was its low price of entry -- a meager $2 -- that turned it into a surprise success. "The strange thing is," Hörberg said, "is it wasn't a big overnight success. It just kept selling decently for a really, really long time. At first, it was kind of the same sales curve as mobile except it just kept carrying those numbers for months and months and years. That was crazy. You expect it to go down after a few weeks, but it didn't." Clive's success cemented that indie development was the future of Hörberg's career. A half-decade or so before, he was part of the big studio machine. He started his career working on small projects before finding a steady gig with developer Grin. 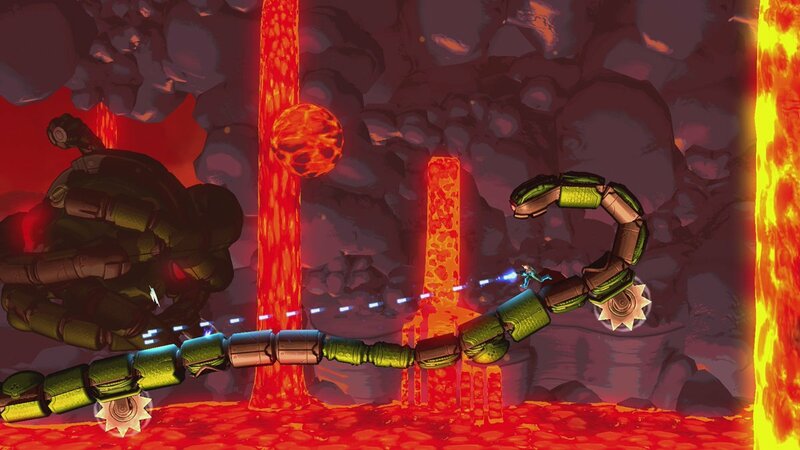 The company was in the process of making the ill-fated Bionic Commando, a reset of the classic side-scrolling franchise that would ultimately be one of the last titles Grin would release. Hörberg started on that project when he first joined up with the developer, but soon found himself with an opportunity he couldn't pass up. 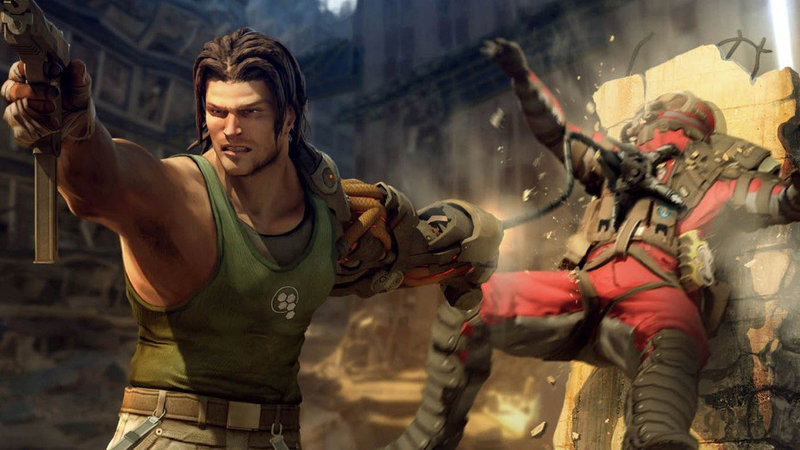 "When I started working with Grin," he explained, "they hadn't begun working on Bionic Commando: Rearmed yet. They were working on the 3D remake-sequel-thing that didn't end up quite as good. I was super excited at first to be working on it, but I quickly realized that AAA development isn't my thing -- if you can call that thing 'AAA.' Then a few people started talking about Rearmed and a really small team started working on that. 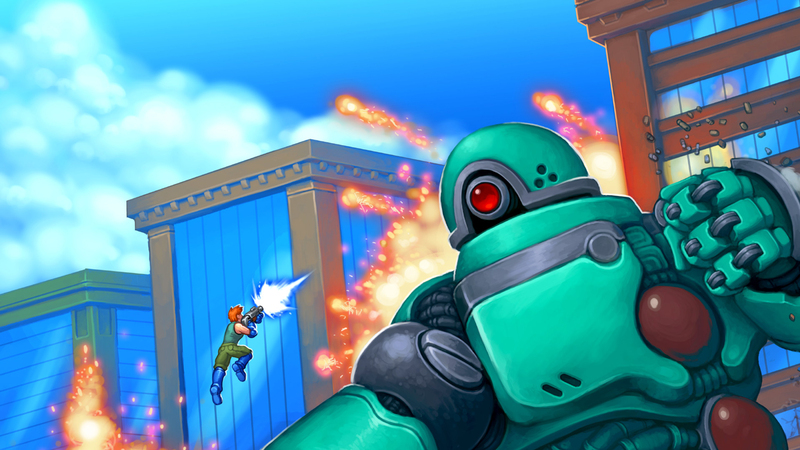 I sort of forced my way onto that project because I love 2D platformers and the original Bionic Commando." Rearmed ended up releasing to rave reviews, far superior to those of the big-budget game. Similar to Dark Void and Dark Void Zero, people preferred the retro gameplay. Rearmed wrapped its development long before Bionic Commando was finished and Hörberg was shuffled back onto that game's development team. "I got moved back onto the big project and found I wasn't happy there. There was some talk about doing another small game and all that. I was going to quit but they talked me into taking a few months off -- unpaid of course -- and I just waited to see what happened. They actually did start on Rearmed 2 while I was away from the studio, but even then I wasn't keen on going back." Hörberg left Grin not long before it shut down for good. A one-two punch of duds like Bionic Commando, Wanted: Weapons of Fate, and Terminator Salvation, coupled with the developer losing out on a Square Enix contract over the game Fortress drove it into bankruptcy. The founders of Grin would go on to create Overkill Software, developers of the Pay Day franchise. Hörberg would dabble with smaller indie teams for a while before starting Hörberg Productions. "I actually released a few small games that I don't really want to talk about," Hörberg told me about the early days of his new, one-man studio. "I was kind of fed up and depressed, making this small games for mobile. Eventually, I started to graduate towards more serious projects. 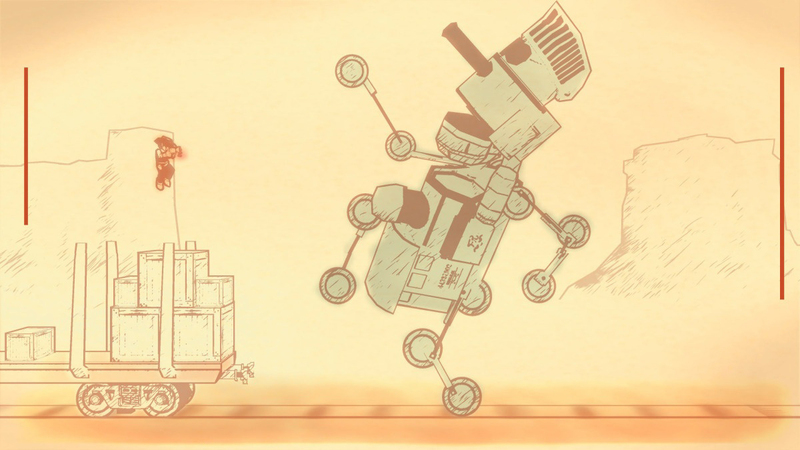 Gunman Clive was so well-received that I gravitated back towards consoles with the 3DS that was recently released." 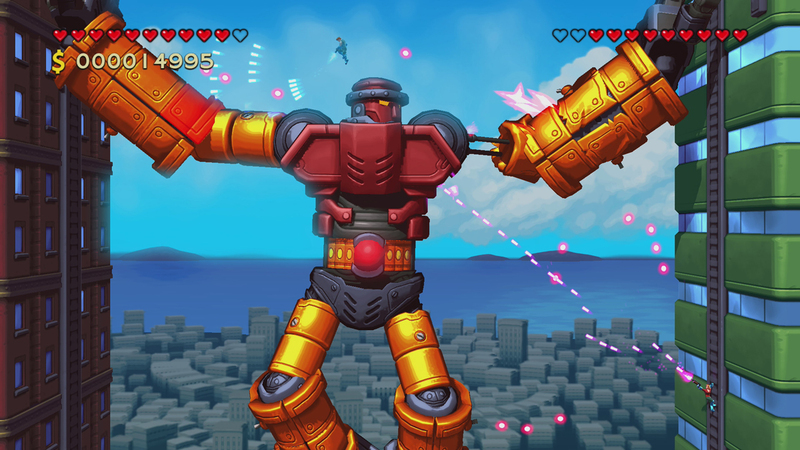 Gunman Clive's success led to an equally well-received sequel, Gunman Clive 2. Both games have been packaged and sold as a set on the Wii U and Nintendo Switch. While neither HD release was able to reach the heights of the original game, Hörberg honestly seemed okay with that. During our conversation, I never got the impression I was talking to somebody who let success go to his head. In fact, he said he had mixed feelings about Gunman Clive selling so many copies when it was only around six months worth of work. Even when his most famous character was being asked to guest in another developer's game, Hörberg stayed true to himself. "I was working with Flyhigh Works and Circle Entertainment for the Japanese release of Gunman Clive and they were the publisher for Dracania Saga and they were looking to have a bunch of guest characters. So they reached out to me. I have been approached to have Clive appear as a guest character in other games, but usually, I just don't bother or I don't know the game and get real defensive about him. But I actually love Skipmore [the developer of Dracania Saga] and think Fairune is brilliant. I'm not very active about making guest appearances happen, but that was one I wanted to see." That care and love for Clive is evident when you see how much of the developer is in the character. Hörberg is an openly gay man, and when he had the opportunity to go back to the original Gunman Clive for the Wii U port, he decided to put that part of himself into the game with a kiss between Clive and new playable character Chieftain Joe. "I actually put way too much thought into it. Half the reason I even added Bob in Gunman Clive 2 was to eventually add him to the first game and then make them kiss. So it was a lot of planning. I almost felt bad after a while because I only made a game with a damsel in distress plot and no gay representation. I didn't put much thought into it back when I first made it and I wondered why I don't have any gay stuff in my games. I want more gay kisses in everything." Bringing his friend aboard would put Hörberg in a position he hadn't filled before: boss. The first two Clive games were one-man efforts, but now he would be in charge of a team trying to bring his vision to life. "It's been challenging," Hörberg said of his new leadership role, "even if it's not a big team. For most of it, it's just been me and one other person. After about a year we hired a new artist to help speed things up. It has been different though. Now I'm working regular business hours at an actual office. I can be pretty hands-on and hard to work with I think. There have been some conflicts trying to figure out how we should work together, how I should be able to hand off things to my employees without being too overbearing. But it's mostly worked out pretty well, I think. You'll have to ask them how horrible a boss I was." 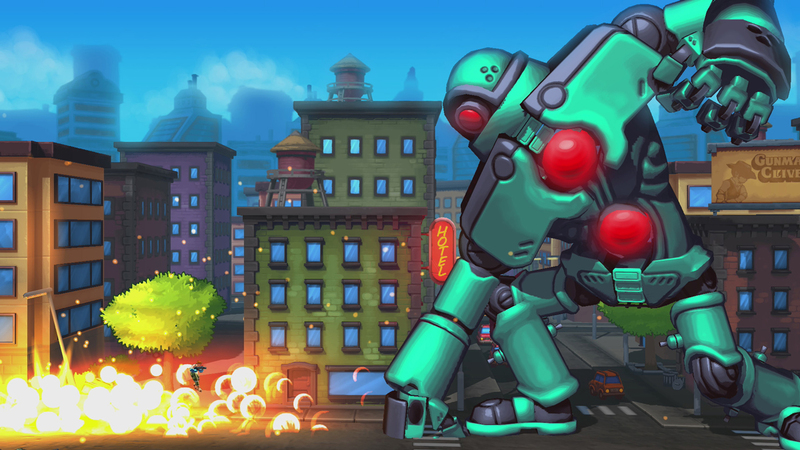 Mechstermination Force will feature two-player local co-op with four selectable characters. Each character controls the same way and they don't have much of a backstory, allowing players to create their own history for their favorite character. If Switch owners already have Gunman Clive HD Collection downloaded onto their console, Clive will become available as a fifth playable character. It is a boss rush game, so don't expect any platforming levels though there is a hub area between missions. You can, however, expect a radically different art direction full of pop and vibrancy. It's the opposite of the muted, limited tones of the Clive games and as Hörberg explained, that was quite intentional. "Back when I did the first Gunman Clive, I thought it looked the best with a mostly brown screen. Then I added more color in the sequel, but now that I am working with a friend who is an art director and 3D artist, it felt more natural to lean more into color and make more colorful stuff. I tried to create shaders and techniques to turn the illustrations into 3D. I'm not sure how well we managed that but the end result is very nice in its own way." Mechstermination Force will be the longest single project Hörberg has ever worked on. The game has been in development for more than one and a half years, far longer than the six months he worked on Gunman Clive or the, and I'm not kidding, two weeks it took him to port the Gunman Clive HD Collection to Switch. He told me he's not built to make games that take three to four years to complete and is already planning his next title, a smaller project that will follow in the footsteps of his first breakthrough project. It's not Gunman Clive 3, as he emphatically told me, but another game that will look to the early years of the industry for inspiration. When I wrapped up my talk with Hörberg and wished him well for his last two days in the country, I still didn't quite know what it is about his games that I'm so very fond of. They remind me of the experiences of my youth, yes, but so does about 100 other games that don't nearly resonate with me the same way his titles do. But in listening back to our interview, I think I found my answer. There is an honesty about Bertil Hörberg that I don't often hear in my other developer interviews. He's humble, he's not good at marketing as he repeatedly told me, and he has a light, self-deprecating humor I believe is more for him than those he's speaking to. This is somebody you can nerd out about SNES games with, not some PR rep trying to explain to you why their AAA shooter is the coolest or the most artistic product on the market. I never realized how much I didn't want games to be all "in my face" until I spoke game developer who wasn't, and it's that level of reserve that is at the forefront of every single game he creates.